Metaphors, implied or direct, are a form of an equation. If E=mc2 or 2+2=4 then should fog=little cats feet? Well, not exactly. But for some poems the metaphor, the image and “what it means,” is surprisingly equal at each side of the equals sign. 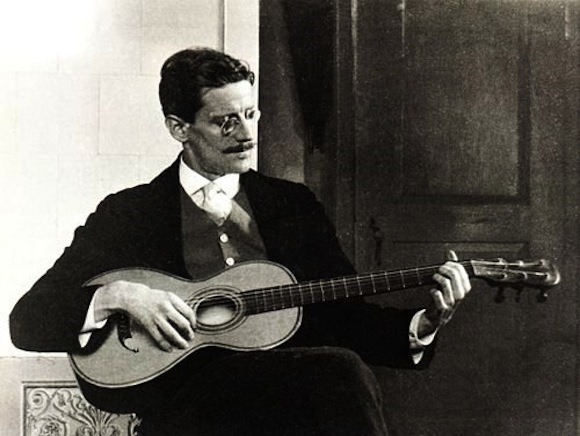 Here’s a poem that Ezra Pound included in the first Imagist anthology in 1914, written by someone we don’t normally think of as an Imagist, or even as a poet: James Joyce. While Joyce didn’t consider himself a member of the Imagist movement, his fellow Modernist Pound considered this work consistent with its principles. As words, “I Hear an Army” is very musical (the consonance of “whirling laughter” alone is exquisite! ), but that element wasn’t rated as highly by mid-20th Century critics who redefined poetry as a literature of complex and hermetic language. Still, its central image shows a bilateralism that I’d like to point out. I think most will see this first as a love song with a strong and strange metaphor of loneliness and separation from one’s beloved as feeling like the invasion of a grotesque and threatening army. Loneliness=as oppressive and overwhelming as an invading army. But what if we reverse the equation? Is an invading army, this oncoming hoard, this force of arrogance, also like the absence of love, the sundered heart and the steeled will? Invasion, war=separation from love and our beloved—separation for not only the invaded but the invaders. When an image can sustain this kind of bilateralism, it gains tremendous power. Maybe not mass times the speed of light squared, the force that hung over my youth, cleaving dreams, and whose blinding flame is seeking to haunt us again, but power none-the-less. 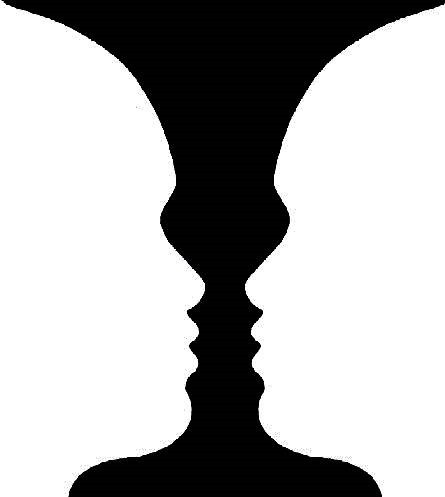 Vase or faces? Bilateralism in imagery. Not to dis Barber, a giant, but I think there’s room for a different way to present “I Hear an Army” combined with music. If you use the player below, you’ll hear my original music for this, not Barber’s. Some take the Barber at rapid tempo, horses at full gallop. I don’t have a score to say what guidance Barber gave for that, but there’s a power in slowing dread—after all it’s a cinematic cliché to show an onrushing threat in slow-motion. My predominant accompaniment for “I Hear an Army” is a vocal chorus using different vocal timbres, including a low part using Himalayan Tuvan throat singing where two pitches are sung simultaneously. Other than the two short rock band interludes, the only “instrument” used is electric bass.